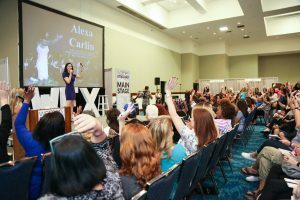 Fort Lauderdale by Lisa Sussman – Women Empower Expo, also known to all as WEX is a national women’s conference and in it’s second year, is going stronger than ever. 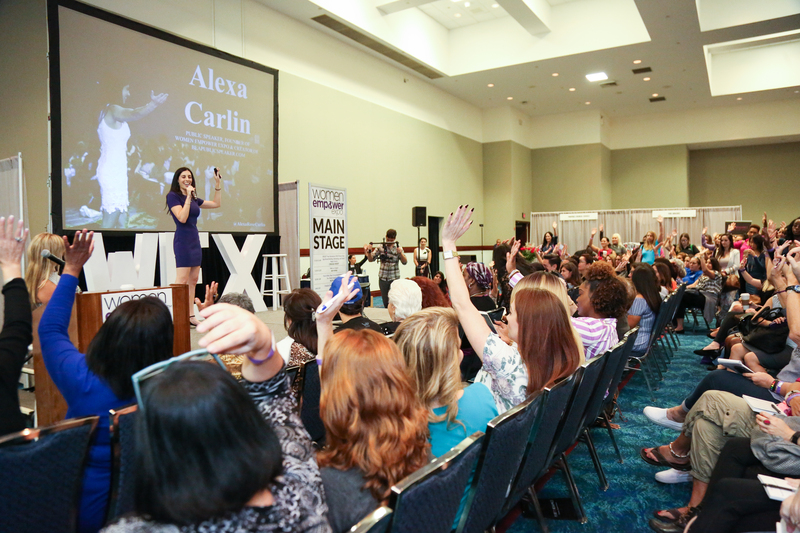 Founder and Creator of WEX, Alexa Carlin was in her element amongst the crowd of 2000+ attendees in Fort Lauderdale and had this to say during our interview, “Our numbers are up by double this year with 2x as many interactive spaces for influencers, public speakers, life coaches, business leaders, creatives, female entrepreneurs, and professionals who are passionate about making a positive difference int their community, career, and lives.” She goes on to say that WEX is on a mission to empower, educate and equip female entrepreneurs with the knowledge, tools, and community to create and grow successful business.” This years Fort Lauderdale WEX was held at the Broward County Convention Center and offered hands on tutorials, intimate coaching, and yoga expos and this was all before you walked into the vendors marketplace. 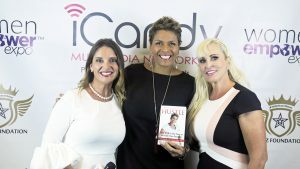 The marketplace is a mix of authors, business, and empowerment minded creators who were looking to connect and share in their experience. There is a feeling a unity at this event that I have not been able to find anywhere else. I decided this year to offer promotional promos via small video clips this year and immersed myself into the process of WEX. The crowd built all morning as guest speakers, life coaches and the like began to speak in smaller, more intimate settings.The overall feeling that Alexa Carling speaks on “as an entrepreneur, especially as a female entrepreneur, it is so important to surround yourself with people who support you and believe in your vision.” Her concept of these smaller stages to focus in on the needs of building and then bolstering existing business can be felt in her choice of speakers. Women like Heather Monahan with her brand #bossinheels was a breakout success. Heather spoke to her group about building and sustaining your personal brand while looking to a secure future. Heather states, by “knowing your tribe and finding your voice in a world still dominated by men in business you will ultimately find and create a mark for yourself that is marketable and sustainable.” Words that many women never hear in the glass ceiling society of business. Guest influence Erika Obando spoke to her panel about the art of reinvention. She is the founder of SidePreneur 360′ a company she founded and which specializes in social media. She is also a TedEx speaker. Erika’s slogan, “We are not here to live out our resumes we are here to leave a legacy.” Her advise on spinning your wheels, staying on focus, comparing ourselves to another is a waste of time and energy , instead be unique it is this that will separate you from the pack and ultimately lead to your greatest success.